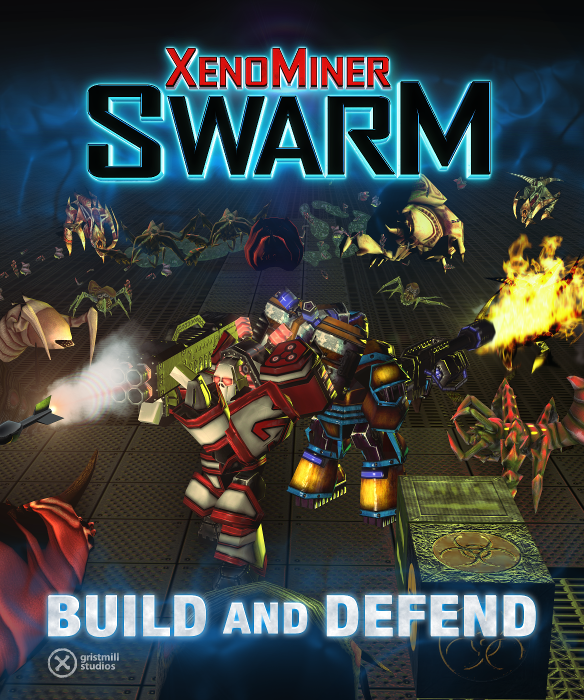 Gristmill Studios Forum • View topic - Xenominer Swarm! If you didn't see the FB post or the Xenominer Talk thread, our next Xenominer off-shoot title is releasing soon! 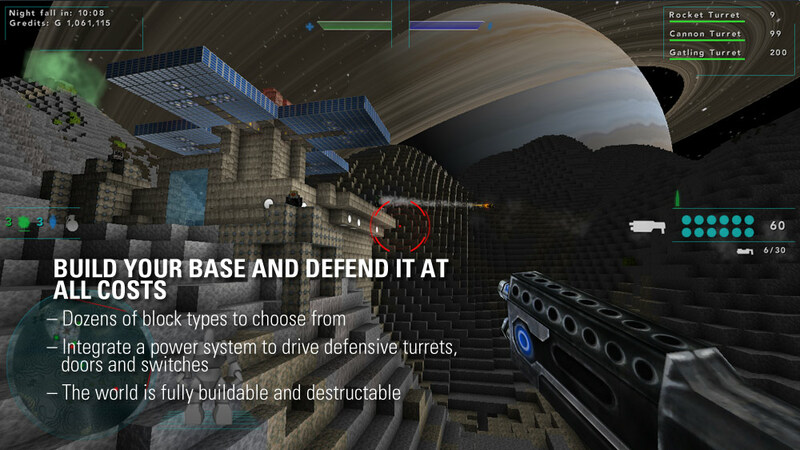 Xenominer Swarm is a base defense game in which the player (along with co-op friends) will take various contracts across a handful of different planets, asteroids and moons. Contracts range from mining for supplies, thinning the local hostile alien population, or defending a central point against nearly endless hordes of angry aliens. With the new engine we began with Downgate, we've been able to massively upgrade a lot of the great things about both XenoMiner and Downgate, but add in some new twists. Exodrones continue to be your primary vehicle for exploration and combat, you are now in charge of budgeting for their upgrades and repairs. Automated turrets and the new power system make their debut. Use power from Solar cells, Thermal generators and Reactors - attach Batteries, Switches, Turrets, Lights and Doors to your power grid and make complex systems. Unlike in XM, where we can only handle about 5 venators (and that poorly) the new re-worked engine can support upwards of 50 active mobs, often all coming for you at the same time. We have six different hostile mobs in place for release, all with special weaknesses and strengths to keep you guessing. For the Builders out there, players can stake a claim on one or more of several planetary locations and build a permanent settlement. It will still need defense! All in all we believe this is our best game yet, and it definitely points towards the future vision we have for our XM universe games. when is this beautiful game releasing i need it. HAHA I was thinking the same thing about it. Someone sneeze and accidentally hit G instead of C.
However I like Gredits over just Money.